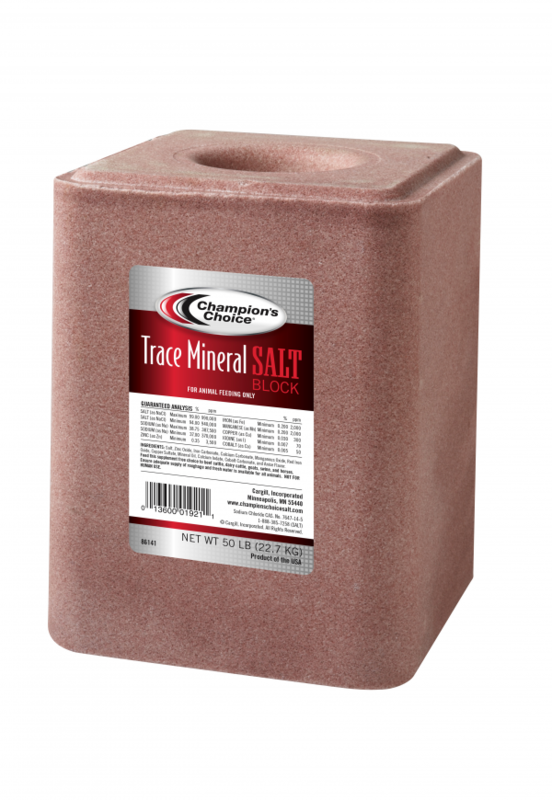 A fine-screened salt or compressed block specially formulated with trace minerals to meet the requirements of beef and dairy cattle, swine and horses. Selenium is added as a supplement for use in selenium-deficient areas. 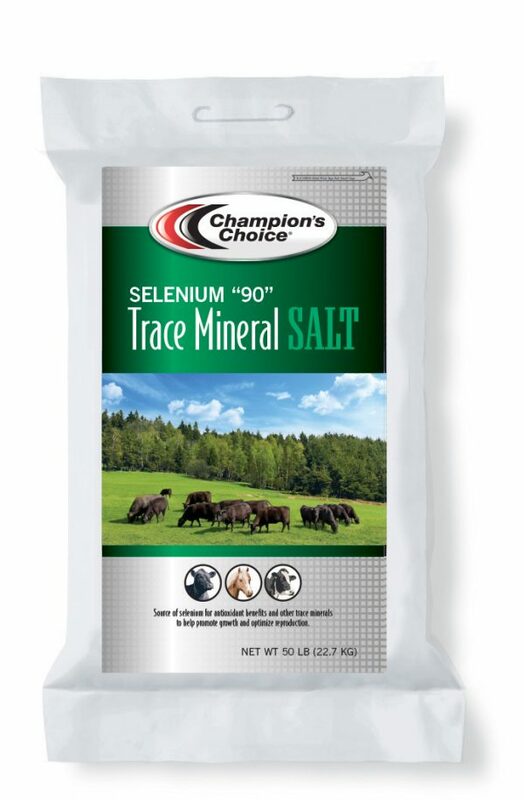 Produced by Champion’s Choice.